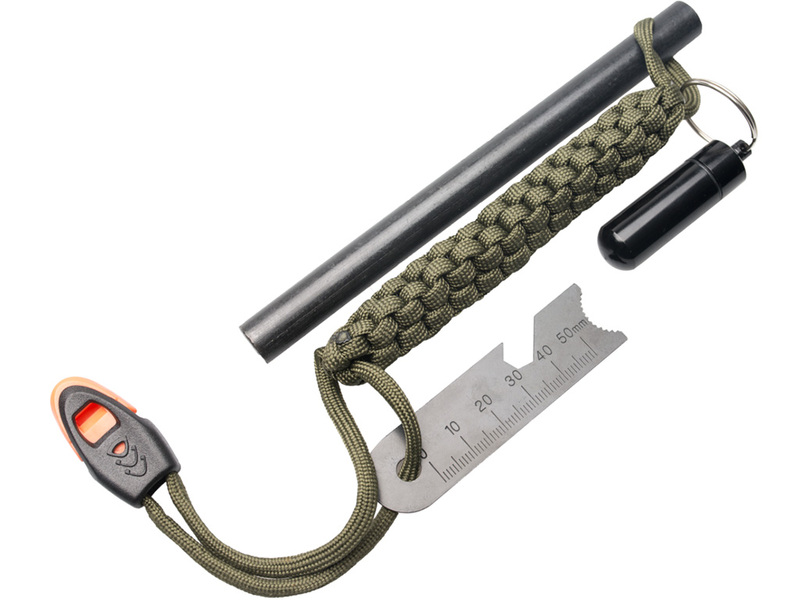 The Survival Hax 6" Fire Starter Flint with waterproof tinder holder is a great looking set. The long 6" length of the firesteel makes it easier to use. The whistle and tinder holder are a nice touch although I would have liked the tinder holder to be 2-3 times the size for multiple uses. A couple of tips for beginners: you need to remove the black coating on the firesteel rod before it will give off good sparks, you need to remove the scraper from the paracord to get full range of motion, and focus on scraper harder rather than faster. I found the Survival Hax 6" Fire Starter Flint to be easy to use. The multi-function scraper worked fine. I found once side worked better than the other. While I was able to get adequate sparks to start a fire, I think the firesteel rod needs to be softer to throw more sparks. Survival Hax claims 30,000 strikes, but in my opinion it is better to have higher quality strikes rather than more of them. I think the Survival Hax Fire Starter Flint is a great tool for those who like to use firesteel rods or keep them in the survival kits. They don't expire and they work when wet making them a great long term investment. I prefer a disposable butane lighter due to it being easier to use and lighter in weight. It usually takes me years to go through a single Bic lighter (which can produce up to 3,000 lights) that I carry in my pocket daily. If it gets wet, it works again after drying it off. And a plastic bag goes a long way in keeping small gear dry for survival kits. Available from amazon.com or Survival Hax. Limited time only (through 01/31/2018) save 50% with coupon code SH50FIRE when ordering from amazon.com. Special thanks to Survival Hax for providing the 6" Fire Starter Flint for review. 2. Search for “survival hax fire starter flint” if the above link doesn't work. 3. 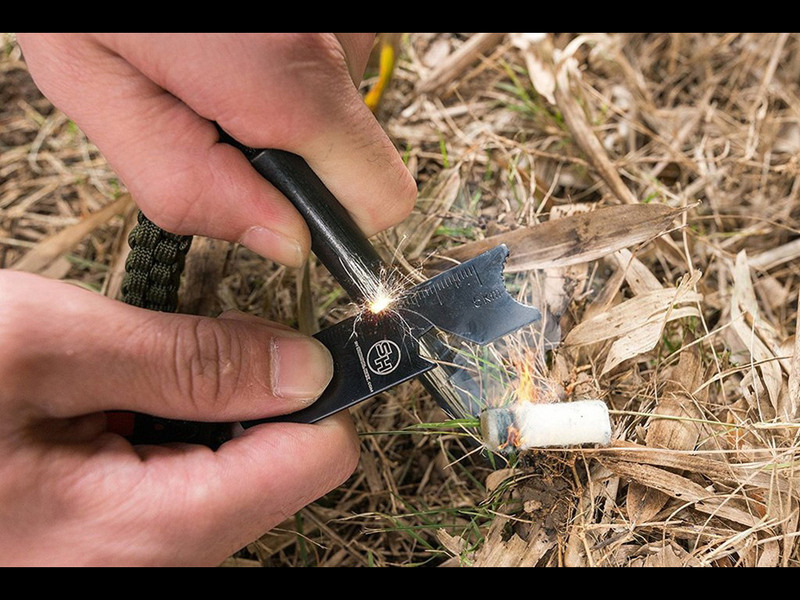 Add the 6” Fire Starter Flint with Waterproof Tinder Holder to your shopping cart and then checkout. 4. On the last screen where it says “enter a discount or promo code” use discount code SH50FIRE.